A decade ago, China was considered a goldmine for Westerners. From the industrial boom to the massive expansion of its financial institutions, the Middle Kingdom was the place for foreigners to be at the turn of this century. Lured by paid plane tickets, free apartments and salaries far outweighing what they were making back home, English teachers also jumped on the big-money bandwagon and began to arrive in China in droves between 2000 and 2008. During the same time period, ESL schools began to spring up in every neighborhood across the country as Chinese people quickly realized that speaking English was now a necessity, given China's burgeoning economic ties to the West. These English schools recognized just how marketable a foreign face was to their success, and treated them with more respect than their Chinese counterparts. As China scrambled to fill its supply of ESL positions, they began hiring any foreign candidate in order to continue profiting from the desperation of students and their parents. Word quickly spread in the West about how easy it was to land a teaching job in China without any qualifications. Unemployed foreigners began faking their academic degrees and work experience in the hopes of cashing in and joining the party. 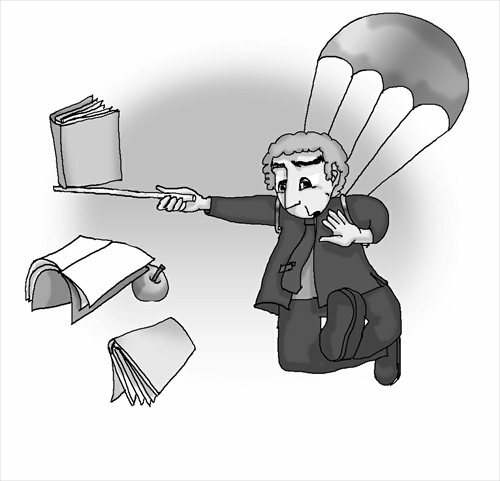 The rapid expansion of ESL institutions in China culminated in thousands of unqualified foreigners jeopardizing the quality of education being provided to students and ultimately making a mockery of the system. In turn, the schools realized how expendable their so-called teachers were due to the sheer number of applications they received. Salaries and the conditions at ESL work environments lowered, only serving to further reduce the quality of education that students were receiving. While there are still a few reputable ESL institutions employing qualified teachers in China today, the majority of the market has become overrun with fly-by-night training centers. The owners of these makeshift schools tend to break teachers' contracts without notice, make false promises and cheat instructors out of money and visas. They are fortified with the knowledge that if one foreigner quits, they can easily replace them with yet another fresh-off-the-boat newbie. Given all of the HR drama that foreign teachers in China have to deal with daily, one can only image the low morale they have - which translates through the quality of their classroom work and negatively impacts students' education. Current students are unfortunately getting the short of the ESL stick, whereas those who attended courses throughout the golden years of the mid-2000's have now become professionals with refined English language skills. As a result, the demand for Chinese ESL instructors is steadily increasing while foreigners are gradually being pushed out. Local parents in big cities such as Shanghai, Beijing and Guangzhou have become especially aware of the fact that the foreigners teaching their children are generally unqualified and now seeking out Chinese-only ESL schools. It is much easier for reputable schools to verify the academic and personal credentials of Chinese nationals instead of foreigners, especially in light of the numerous in-class sexual abuse cases involving Westerners posing as teachers that have occurred as a result of a lack of criminal background checks. Chinese parents can communicate freely with Chinese teachers to gain a better understanding of how their child is progressing, while with foreign teachers the parents feel left in the dark due to the language barrier. To capitalize on the Chinese ESL instructor trend, an increasing number of bilingual Taiwanese are now moving to the mainland, lured by the same promises that Westerners once were. Unfortunately, the days of Westerners relying only on their foreign face to get a job in China are at an end. The Chinese are no longer impressed by Westerners, at least not on a superficial level. Heavily invested in their own education, this generation of Chinese parents demand that the paid instructors spending time with their children are equally as serious about academics as they are. While there are still qualified foreigners working in China as ESL instructors, the reality is that the larger number of those who took advantage of the Chinese educational system by faking their credentials have directly contributed to its demise.